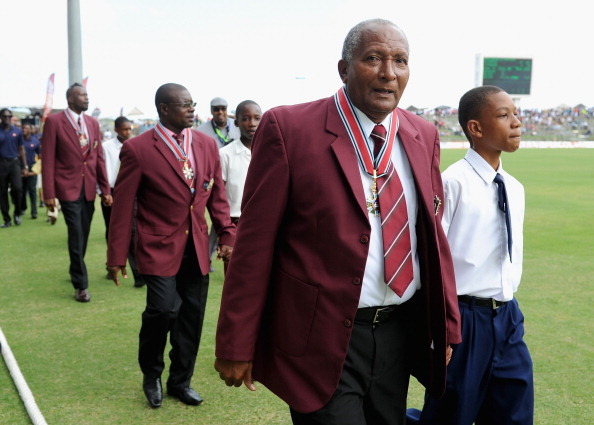 St. John's (Antigua), Oct 31 (IANS/CMC) Former West Indies fast bowler Andy Roberts said he is not in agreement with the decision by the West Indies Cricket Board (WICB) to first setup a task force to probe the circumstances which gave rise to the abandoned tour of India rather than salvaging ties with the BCCI. Roberts, a member of the world champion West Indies teams of the 1970s, says the board should first move to head-off threats made by the Board of Control for Cricket in India (BCCI), reports CMC. BCCI has threatened legal action to recover an estimated $65 million and announced that it was also suspending all bilateral tours to the Caribbean. "I would not go the route of a task force right now. I would get people down to India to see if we can salvage anything," Roberts told The Gleaner. "For me, that is more important right now than to set up a task force to find out what transpired between WIPA, the players, and the board." The Indians were expected to play five series against the West Indies in the next eight years, including four visits to the Caribbean. The West Indies, in addition to the tour-opening five-match ODI series, were slated to play three Tests and a Twenty20 international. However, the tour was called off amid player's discontent over the terms and conditions of the Collective Bargaining Agreement (CBA), signed recently between the WICB and West Indies Players Association (WIPA). Players have argued it results in a drastic reduction in their earnings and have called for a return to the old CBA. "If India goes through with their threats of cancelling or suspending tours for how much years, our cricket is going to suffer tremendously," Roberts said. "It may take you another two or three months before this task force sends in its report. For me, it's a situation of let's see if we can salvage something from the Indian board before that." Roberts has criticised the players' decision to end the tour but said he was awaiting full details of the impasse before casting blame.